Semiconductor Devices, Flat Panel Displays and Solar Cells are involved in an ever increasing part of our lives. To manufacture these high tech devices it is important to have reliable and precise Fluid Control. HORIBASTEC is the established world leader in this area offering a full line up of Gas, Liquid and Vapor delivery products. The new types of mass flow controller, SEC-Z700 series and CRITERION D200 series exhibit high stability and control the gas flow without effect of upstream and downstream pressure fluctuations. 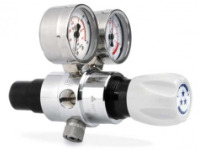 They not only give a flow rate output but also the temperature and pressure readings. Control interface is by analog, RS-485 and DeviceNet™ communication. Suitable for the high performance, compact and weight saving of the gas line. We can also custom design and manufacture your gas panels, as well as more complex gas blending systems. From the ROTAREX Equipment Group, over 6'500 metal gasket face seal or double-ring tube fittings, single & double stage pressure regulators and micrometering - needle - ball - toggle valves as well as 300 bar line valves. 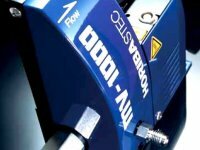 View HORIBA Mass Flow Instruments web page and select the MFM / MFC best suited. View ROTAREX gas hardware page and select the product(s) best suited for your needs. View HORIBA Liquid Vaporizers web page and select the instrument(s) best suited.